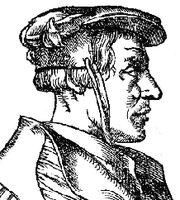 Heinrich Cornelius Agrippa von Nettesheim (15 September 1486 – 18 February 1535) was a German magician, occult writer, theologian, astrologer, and alchemist. Henry Cornelius Agrippa is currently considered a "single author." If one or more works are by a distinct, homonymous authors, go ahead and split the author. Henry Cornelius Agrippa is composed of 27 names. You can examine and separate out names.